Preface: The Operational Guidelines for the implementation of the 1970 Convention, also known as The Operational Guidelines 2015, was adopted at the Third Meeting of States Parties to the 1970 Convention on the Means of Prohibiting and Preventing the Illicit Import, Export and Transfer of Ownership of Cultural Property, UNESCO, Paris, 18-20 May, 2015. This meeting was organized pursuant to the Article 14.1 of the Rules of Procedureof Meeting of State Parties to the 1970 Convention. The idea of protecting cultural property only came about in the first half of the twentieth century. Newly independent states were trying to recover important cultural objects that are mostly found in the museums of their former colonizing state. Spiritual and material value was being accorded to cultural property during this time, justifying the protection of cultural property. Also, a market was created for cultural objects that command high prices on the international market due to increasing interest in cultural diversity. Aware of this problem, UNESCO deployed normative, ethical and operational mechanisms to provide appropriate responses to these challenges. In April 1964, UNESCO appointed a Committee of Experts from some 30 States to draft preliminary recommendations for the establishment and implementation of a Convention. Four years later, the General Conference of UNESCO adopted Resolution 3.334 which authorized the convening of a committee to draft a Convention. 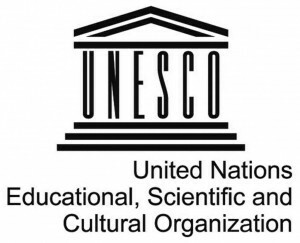 The UNESCO Director-General appointed a principal expert and four consultants from different regions of the world, to perform the drafting of the text for the Convention; In August 1969, the UNESCO Secretariat circulated this ‘draft’ (the original draft) for comments by the UNESCO Member States. It was then revised in light of those comments, and the text was then sent to a Special Committee of Governmental Experts which prepared a final draft by April 1970. 61 States attended this meeting. As stated above, the Convention was adopted at the 16th General Conference on 14 November 1970. The UNESCO 1970 Convention on the Means of Prohibiting and Preventing the Illicit Import, Export and Transfer of Ownership of Cultural Property is an international treaty. It is the first international instrument dedicated to the fight against illicit trafficking of cultural property. It was adopted at the 16th General Conference of UNESCO on 14 November 1970 in Paris and came into force on 24 April 1972. As of March 2016, 131 states are parties to the treaty. Together with the trafficking in drugs and arms, the black market of antiquities and culture constitutes one of the most persistent illegal trades in the world. Thefts, illicit excavations of archaeological and paleontological sites, illicit import and export or Illicit trafficking on the internet of cultural property poses major threats to the preservation and protection of the Cultural Heritage of Humanity. The illicit trafficking of cultural property generates a lucrative underground market with a great percentage of stolen artifacts never being recovered. As long as a demand for cultural property items exists, the market will continue to flourish. This situation poses a threat to the physical items, though looting and destruction, and also reduces the wealth of knowledge that could be gained from discovering such items in their archaeological surroundings. It causes irreversible damage that has lasting effects on the ability of societies to develop, take shape, and recover from crises. The 1970 Convention is the most important pioneering multilateral international agreement concerning the protection of illicitly traded cultural objects. It offers legal and political tools to be implemented in the national Law and permits broad and sustained international cooperation. Practical and juridical tools have been devised by UNESCO and its partners in order to facilitate and improve the implementation of the UNESCO 1970 Convention. The UNESCO Intergovernmental Committee for Promoting the Return of Cultural Property to Its Countries of Origin or Its Restitution in case of Illicit Appropriation and the UNIDROIT Governing Council and their respective Secretariats worked together to improve the protection of cultural property. The resultant Model Provisions and their explanatory guidelines are available to the relevant domestic bodies and legislatures to help them establish and recognize State ownership of undiscovered cultural objects. 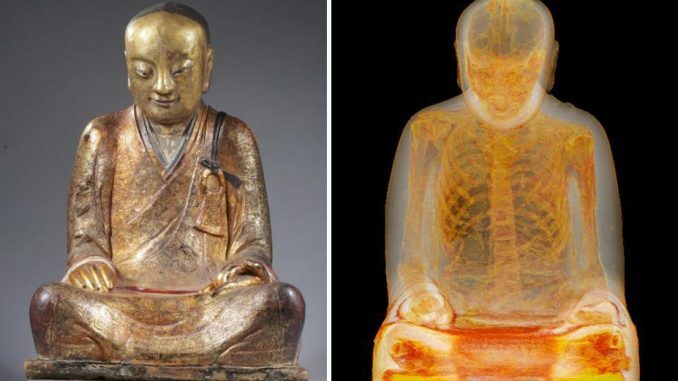 The model certificate has been drawn up by the Secretariats of the World Customs Organization (WCO) and UNESCO, and corresponds to the requirements for identifying and tracing cultural objects without, however, being too restrictive for exporters and customs. Faced with the growing trafficking of cultural property on the internet and the difficulties encountered by national authorities to control this phenomenon, UNESCO, in close cooperation with INTERPOL and the International Council of Museums (ICOM), have provided countries with basic actions concerning cultural objects on sale on the web. The free access database, available in six languages, presents the national cultural heritage laws of its Member States. Itcurrently contains more than 2500 texts from more than 180 countries. UNESCO Member States are invited to send copies of all legal texts concerning the protection of cultural objects to the UNESCO Secretariat for their inscription in the UNESCO Database of National Cultural Heritage Laws. By updating this Database the States can obtain good practices in any particular given field. Built on the principles of the UNESCO 1970 Convention, and based on various national codes of professional ethics and Dealers’ Codes (such as the code of the International Federation of Art and Antique Dealers’ Associations (Confédération internationale des Négociants d’Oeuvres d’Art, CINOA). Object-ID is an international standard for describing cultural objects. It is the result of years of research in collaboration with the museum community, international police and customs agencies, the art trade, insurance industry, and appraisers of art and antiques. The Third Meeting of States Parties to the 1970 Convention on the Means of Prohibiting and Preventing the Illicit Import, Export and Transfer of Ownership of Cultural Property, UNESCO, Paris, 18-20 May, 2015. The Operational Guidelines (3.MSP) was adopted by the Third Meeting of States Parties to the 1970 Convention on the Means of Prohibiting and Preventing the Illicit Import, Export and Transfer of Ownership of Cultural Property on the Third Meeting, which based on the draft Operational Guidelines for the implementation of the 1970 Convention as approved by the Subsidiary Committee of the Meeting of States Parties to the 1970 Convention during its second session in July 2014. The 1970 Convention constituted a step forward to stop and reverse the erosion of the cultural heritage by, inter-alia, damage, theft, clandestine excavation, and illicit transfer and trade. The Operational Guidelines aim to strengthen and facilitate the implementation of the Convention to minimize risks related to disputes over the interpretation of the Convention as well as to litigation, and thus to contribute towards international understanding.